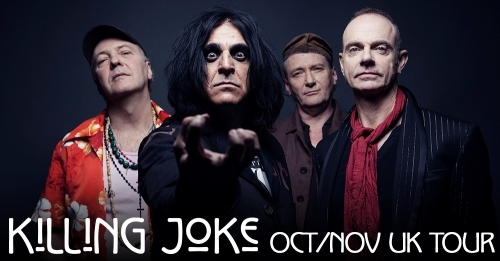 With the release of their new album Pylon just over the horizon, Killing Joke have added an extra date to their headline UK tour in Oct/Nov. The tour will now include a show at the O2 Academy Oxford & culminates at London’s renowned Roundhouse. Hurry as tickets are selling fast! Asylums, Willow, Yonaka, Feverist, Rival State, The Men That Will Not Be Blamed For Nothing and Jah Wobble’s Invaders Of The Heart are all set to support on different dates across the tour.